This concordat secures full state funding for Church-controlled schools and Catholic religious education, even in state schools is to begin at the pre-school level. The Vatican treaty also allows Church schools, which receive the same funding as state ones, to edit out course material that conflicts with Catholic doctrine. Although compulsory education began in Slovakia in 1868, it could still be difficult to get a higher education. Before Word War I the only universities were far away in Austria and Hungary, which for a poor student was not affordable. The only way for a gifted lad to get post-secondary education was to enter a seminary where he could study theology free of charge as training for the priesthood. This ensured that these natural leaders devoted their minds to theology and their careers to advancing in the hierarchy and promoting the aims of the Church. After World War II, Communist rule meant a state monopoly on education, which also placed higher education under a certain amount of ideological control. When this regime fell, Slovakia emerged with only state-run schools, but the 1990s saw the re-introduction of Church-owned schools. Religious influence on education is returning. The term “compulsory eligible” (Art. II.4) means that even in primary school children must take either Religious Education (RE) or Ethical Education (EE). In small places there may be too few non-Catholics to offer anything but RE. And in larger centres the children who take EE may face discrimination. A teacher reports that “Children are [divided] according which subject they select, [into] believers and non-believers. The teacher of [RE] is considered to take children [to] heaven, while the teacher of EE [delivers them to] hell-fire”. More from this (now intimidated) whistleblower here. And even when Ethical Education is, in fact, available, it is offered by teachers who must have a qualification in theology! 1. A Catholic school and a Catholic educational institution (further “Catholic school”) is an ecclesiastic school and educational institution established or recognised by the local Diocesan Bishop, his General Vicar or by the representative of the religious society (further “appropriate ruling body of the Catholic Church”) consistent with the legal system of the Slovak Republic. 2. The founder of the Catholic school has the right to nominate and recall the headmaster, in accordance with the conditions set forth by the legal system of the Slovak Republic. He also lays down criteria for the acceptance of teachers and educators, in line with the educational intents of Catholic schools and consistent with the legal system of the Slovak Republic. 3. The founder of a Catholic school approves the criteria for admission of pupils for study at Catholic secondary schools. 4. The headmaster of the school ensures that the internal regulations of the Catholic school are in accordance with the legal system of the Slovak Republic and consistent with the principles of Catholic education and teaching. 5. Teaching of the general educational and special subject matter in the Catholic schools corresponds in content with the education of general educational and special subject matter in state schools of the same level, variety, and type. 6. Teaching in Catholic schools is done according to teaching plans, curricula, and programmes of school teaching approved by the founder after agreement with the Ministry of Education of the Slovak Republic. 7. The Slovak Republic will not require Catholic schools to implement educational programmes which do not comply with Catholic education and teaching. 8. Catholic schools will be granted financial funding equal to that of all the schools, in accordance with the legal system of the Slovak Republic. 9. The Catholic Pedagogical and Catechetic Centre established by the Bishop’s Conference and supported by Slovak Republic will secure, after the agreement of Ministry of Education of the Slovak Republic, the professional and methodical management of Catholic schools, as well as the professional educating and forming of the pedagogic and non- pedagogic employees of Catholic schools. 10. The Slovak Republic and the Catholic Church will co-operate in the process of preparing and implementing the educational and training programmes in the area of education and up-bringing in Catholic schools. 1. The subject matter “religious education” taught in other than Catholic schools conforms with the subject ”Roman Catholic religion” or “Orthodox Catholic religion” in Catholic schools (further: subject “Catholic religion”), if it is taught by a person authorised by the Catholic Church. 2. On the admission of pupils to the school, headmasters of schools will give the parents or their legitimate substitutes, the chance to register the pupil for Catholic religion in such a way, that it will not cause any discrimination against the pupil in terms of school activities. 3. The Slovak Republic will enable, in agreement with the will of parents or their legal substitutes, the teaching of Catholic religion in preschool establishments, as well. 4. The Catholic religion is taught as one of the compulsory eligible subject matters in primary schools and in secondary schools, in accordance with conditions outlined by the legal system of the Slovak Republic. 5. The Catholic religion is taught according to curricula and teaching plans which are approved by the Bishop’s Conference of Slovakia after consultation with the Ministry of Education of the Slovak Republic. 6. For creating and financing the production and distribution of textbooks, and methodical guide books for teaching the Catholic religion, which were approved by the appropriate ruling body of Catholic Church, the same rules are valid as for the creation and funding of the production and distribution of textbooks and teaching guides of all other general educational subject matter. 7. The State school inspection for the classes in Catholic religion is done by persons authorised by the chief school inspector after his agreement with the proper ruling body of Catholic Church. 8. Persons authorised by the proper ruling body of the Catholic Church act as observers in classes for Catholic religion. The headmasters shall enable them to perform this activity. 9. After agreement with the headmaster of the school, the concerned ruling body of the Catholic Church can organise on school premises activities complementary to the teaching of the Catholic religion. 1. The Catholic religion is taught by teachers with professional and pedagogical qualifications in accordance with legal regulations of the Slovak Republic, who also have ecclesiastical authorisation, namely a canonical mission issued by the proper Church ruling body. Revocation of this authorisation leads to loss of the right to teach Catholic religion. 2. 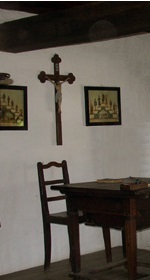 Additional professional, methodical education of teachers of the Catholic religion, giving directives on the teaching of religion and offering methodical and didactic services, is to be implemented by the Catholic Pedagogic and Catechetic Centre and the diocesan catechetic offices, as independent legal entities of the Catholic Church. 1. The Catholic University in Ru�omberok is a public university established in conformity with the legal system of the Slovak Republic and the norms of Canon Law. It has the same status as the other universities of the Slovak Republic. d)…exchanging scientific documentation and information, scientific journals and publications, and other resources and aids. 3. The Contracting Parties support the university education, scientific research and education in theological faculties, theological institutions, and in seminaries for priests, directed by the norms of Canon Law. 4. Teachers of Catholic theological disciplines in the universities must have a canonical mission as their personal authorisation from the proper ruling body of the Catholic Church. 5. The Slovak Republic upholds the financial funding for Catholic theological faculties and for seminaries for priesthood. 6. The Slovak Republic recognises, in accordance with the legal system of the Slovak Republic, the educational certificates and academic degrees granted by Church universities and faculties in the subject of Catholic theology and in other Church subjects. 1. University Pastoral Centres engage in pastoral, spiritual and educational activities for members of the academic community at the universities. 2. University Pastoral Centres are establishments of the Catholic Church. They can operate on the academic premises on the basis of agreement between the ruling body of the Catholic Church and the university concerned. 3. The director of the University Pastoral Centre and his colleagues, perform the spiritual service at the University Pastoral Centre on the basis of authorisation, by the proper ruling body of the Catholic Church. 4. The Slovak Republic shall not create obstacles to establishing University Pastoral Centres. 1. The Contracting Parties will resolve contentious questions related to the interpretation or implementation of this treaty through negotiation. 2. This treaty is subject to ratification and comes into force on the day of the exchange of ratification documents. 3. This treaty can be changed and amended on the basis of mutual agreement of the Contracting Parties. Changes and amendments must be done in written form. Dated in Bratislava on March 2004 in two authentic writs in the Slovak and Italian languages, both of them having equal force.